Ewen has been operating a plumbing/gas fitting business for over 25 years in the industrial, commercial and domestic field. The plumbing business has contracted for maintenance works on Woolworths/Safeway, Caltex, Safeway Petrol sites, Real Estate agents, Community Housing Victoria Ltd. These are to name but a few of the variety of businesses we service. The business also performs insurance assessments and has Iprolive OH & S accreditation and AIP accreditation. Ewen felt he wanted to diversify, therefore the opportunity arose whereby he could purchase an existing business in the commercial catering/kitchen and laundry equipment field. Jadian Commercial Services not only sells equipment we also service a wide spectrum of the industry. We have preventative maintenance arrangements with aged care facilities, motels and restaurants. We offer our customers the advantage of having access to a plumbing business which complements the commercial services we offer, be it gas installations or plumbing installations. His vast experience in the plumbing and gas fitting field has proven to be beneficial to Jadian Commercial Services for problem-solving when our technician is confronted with a problem which is beyond his scope. Over time our aim is to service an area encompassing Traralgon, Sale,ÂÂ Bairnsdale, the Great Alpine region, the East Gippsland Lakes region,ÂÂ Mallacoota, through to NSW, Eden, Merimbula right up to Ulladulla in the future. 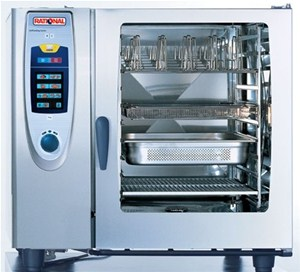 We are a Silver Chef dealer and can offer clients a low cost financing arrangement for your equipment purchases without the problem of investing a large portion of your working capital on equipment, leaving you with more working capital to run your business. The professionals at Silver Chef have tailored a smart and flexible solution specifically for organisations in need of funding for hospitality equipment fit-outs. That solution is Rent-Try-Buy®. The Rent-Try-Buy® Solution allows you to save your hard earned working capital - rather than spending it on depreciating assets. And if you exercise your option to buy, we reduce your purchase price by 75% of the rent you’ve already paid. Return the equipment at the end of the 12 month agreement if it is no longer required. Continue to rent - and we’ll simply continue to reduce your purchase price. *Net rent after tax savings plus purchase price. Chance to free up your valuable working capital. A 12 month agreement - don’t get locked into a long term lease. No directors’ guarantees, so you don’t have to put you house on the line! Renting is ‘off balance sheet’, meaning it doesn’t affect your capacity to borrow for future expansion. 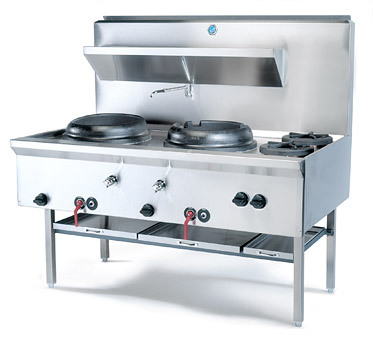 Silver Chef has been helping businesses to fund their restaurant equipment needs for over two decades. We understand your unique challenges and provide solutions that enable you to achieve your full potential. This can be used for New & Used Equipment. Simply click on Products - Used Equipment - Rent-Try-Buy®, to complete the Online Rent-Try-Buy® Application and also try out the Rental Price Calculator. While you are on this web page you can view what used equipment is avalable.